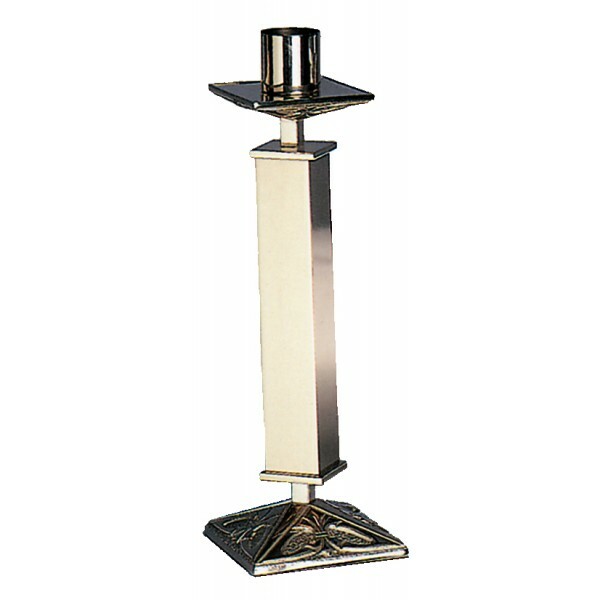 Home » Church Goods » Sacred Vessels / Metal » Altar Candlestick 10" - 28"
Altar Candlestick 10" - 28"
Excelsis 200 series Altar Candlestick, available in large variety of heights. Made of bronze, with a high polish finish (as pictured) or satin finish. Supplied with 1.5” x 1.5” socket and wax protector. Other options are available at an extra cost: please call for alternate size sockets, a wooden shaft, or brass construction. Many matching items are available in the 200 series.